ABC News senior correspondent Jake Tapper addresses Alaska Governor Sarah Palin’s reaction to the Troopergate ethics investigative report released on Friday, October 11, 2008 by the Alaska Legislature. Seems she has an entirely different take on the findings of the bipartisan legislative body who concluded that Gov. Palin’s conduct “violated AS 39.52.110(a) of the Ethics Act…” But, according to Gov. Palin, she is “very very pleased to be cleared of any legal wrongdoing … any hint of any kind of unethical activity there. Very pleased to be cleared of any of that.” Just what ethics report did Governor Sarah Palin read to come up with that spin? On Saturday, Alaska Gov. Sarah Palin twice spoke to reporters about the so-called “Troopergate” scandal and the investigative report on whether she had abused her power in trying to get her sister’s ex-husband Mike Wooten fired as a state trooper, and for firing Public Safety Commissioner Walt Monegan one year after she, her staffers, and her husband Todd began unsuccessfully pressuring Monegan to let Wooten go. Palin spoke on the phone with Alaska reporters about the report. The McCain-Palin campaign only allowed one question per reporter. The journalists came from the Anchorage Daily News, KTVA-Channel 11 and KTUU-Channel 2. No follow-ups were allowed. The call can be heard HERE. But Palin is seldom that specific. When Palin first commented on the report she parsed. It’s true that there’s nothing “unlawful or unethical about replacing a cabinet member” in principle. And the report concluded that she had the power to fire Monegan. But the report concluded that she had abused her power, and there was indeed something “unethical” about her behavior, insofar as it violated the state Ethics Act. But now Palin has moved on from parsing to assertions that are not true. “I’m thankful that the report has shown that, that there was no illegal or unethical activity there in my choice to replace our commissioner, so, now we look forward to working with the personnel board that the entity that is charged with looking into any activity of a governor, the lieutenant governor, or an attorney general,” Palin said. That came closer to the truth. The report did in fact conclude that Palin had the power to fire Monegan. “There was no abuse of authority at all in trying to get Officer Wooten fired,” Palin said. If she was stating that as her opinion, fine, but if she was stating that as the conclusion of the report, that’s false. Gov. Palin Camp Continues To Suggest Special Awareness On Russia — Due to Diomede Islands? Aerial view of the Diomede Islands; the Russian territory of Big Diomede is on the left and the US island of Little Diomede on the right. Let’s further examine Alaska Governor Sarah Palin’s foreign policy experience due to Alaska’s close proximity to Russia and her assertion that from Alaska you can ‘see’ Russia. Her claim of ‘seeing’ Russia appears to be true; the Diomede Islands, one of which belongs to Russia, can be seen from Alaska, at least from an airplane. 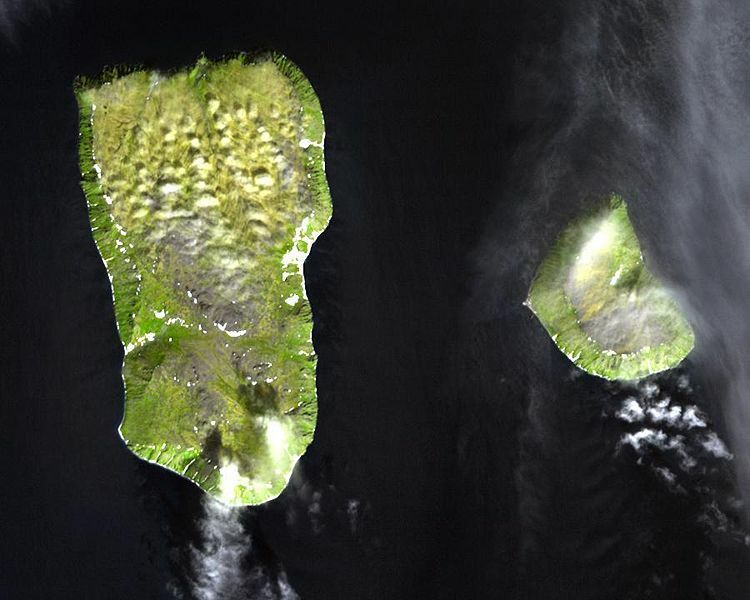 The Diomede Islands are comprised of two rocky islands situated in the middle of the Bering Strait between the mainland of the US state of Alaska and Siberia, Russia. Although at their closest the islands are approximately 2.4 miles apart, they are separated by the International Date Line, with a time difference of 23 hours, The US island of Little Diomede (total area 2.8 sq. mi.) has a settlement of 146 people as of 2000, with over 92% of the inhabitants Native Americans. The Russian island of Big Diomede (total area 11 sq. mi.) is populated by the Inupiat, the Inuit people of Alaska’s Northwest Arctic and North Slope boroughs and the Bering Straits region. What foreign policy experience Gov. Palin has been able to glean from being able to see a small, barren and sparsely populated Russian island (inhabited by Alaska Natives) from a plane is completely unclear to most American voters. In an article by Scott Conroy for the CBS News, published September 21, 2008, there is little evidence of any foreign policy insights GOP vice presidential candidate Sarah Palin has learned from her state’s proximity to Siberia, Russia. As Republican vice presidential nominee Sarah Palin prepares to meet with a slew of world leaders in New York to coincide with the opening of the United Nations General Assembly, questions remain over her thin foreign policy resume. Though it is not uncommon for governors running for national office to have limited exposure to international events, the Palin campaign has nonetheless made an effort to highlight the Alaska governor’s bona fides on Russia. But the idea that Palin has gleaned any special awareness of the world’s largest nation through her work as governor of Alaska stands on flimsy ground. In her first national television interview since joining the Republican ticket less than two weeks ago, ABC’s Charlie Gibson pressed Palin on her foreign policy experience, leading her to tout repeatedly her home state’s geographical position. Palin then reminded Gibson three separate times that Russia is Alaska’s “next door neighbor.” When Gibson pressed Palin on what insights the state’s proximity to a sparsely populated region of Siberia gives her into Russia’s actions in the Caucus region – which is thousands of miles away from Alaska – the governor stayed on message. “They’re our next door neighbors, and you can actually see Russia from land here in Alaska, from an island in Alaska,” she said. On a clear day, it is, in fact, possible to see the unpopulated Russian island of Big Diomede from the Alaskan island of Little Diomede, which is inhabited by a small native population. Still, Palin’s hometown of Wasilla isn’t much closer to the Russian capital of Moscow (4,318 miles) than New York City is (4,663 miles). But rather than downplaying Palin’s suggestion that she possesses special knowledge of Russia, the McCain/Palin campaign has continued to tout Alaska’s proximity to the world’s largest nation as a feather in her cap, without offering any evidence of actual experience Palin has in Russian affairs. Asked to provide concrete examples of Palin’s foreign policy experience, Palin spokeswoman Tracey Schmitt highlighted the governor’s dealings on energy issues and foreign trade and mentioned the 2007 trip she took to visit U.S. troops in the Middle East and Germany. CBS News made several inquiries over the course of two days to another campaign spokesperson asking for details on any practical experience Palin had with Russia. The spokesperson said that campaign staffers were gathering evidence related to trade issues, but no such information was disseminated. 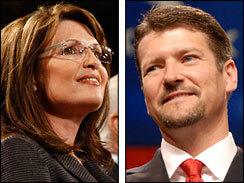 A spokesperson at the governor’s office in Juneau directed all inquiries to the McCain/Palin campaign. Told that the inquiry was related to Palin’s role as the governor of Alaska – not as a vice presidential candidate – the spokesperson said that state ethics legislation required that all questions “fueled by the governor’s candidacy” must be directed to the campaign. The spokesperson provided a phone number for a campaign spokeswoman Meg Stapleton. A phone message left on Stapleton’s voicemail was not returned. In the ABC interview Palin was asked in the event that Georgia joined the NATO alliance and was subsequently attacked by Russia, whether the United States would have to go to war with Russia. Dr. Charles Kupchan, a Georgetown University professor of international relations and senior fellow at the Council on Foreign Relations, agreed that NATO would have little choice in such a case. Aside from the ABC interview, Palin herself has not continued to tout Alaska’s proximity to Russia as an example of her foreign policy knowledge. Instead, she often mentions on the campaign trail her work in striking a deal to construct a nearly $40 billion natural gas pipeline from Alaska, which would lead through Canada into the continental United States, as evidence that she has been at the forefront of making the U.S. energy independent. “In general, the main way governors get involved in foreign countries is economic – they try to get countries to invest and go on trade missions, but very rarely do they get involved in issues of national security, in part because the Constitution prevents them from doing so,” Kupchan said. Asked what foreign policy credentials Palin might bring with her to Washington, Dr. Gerald McBeath, the political science department chair at the University of Alaska – Fairbanks, pointed to Alaska’s military bases and said that Palin would certainly be aware of security operations surrounding them. “It used to be more critical in the Cold War than it is now,” McBeath added. McBeath also noted that Alaska is within striking range of missiles that could be launched from North Korea. A senior campaign aide who agreed to speak on the condition of anonymity admitted that Palin’s knowledge of Russia may be limited to the way someone from Miami might obtain a general feel for Latin America. 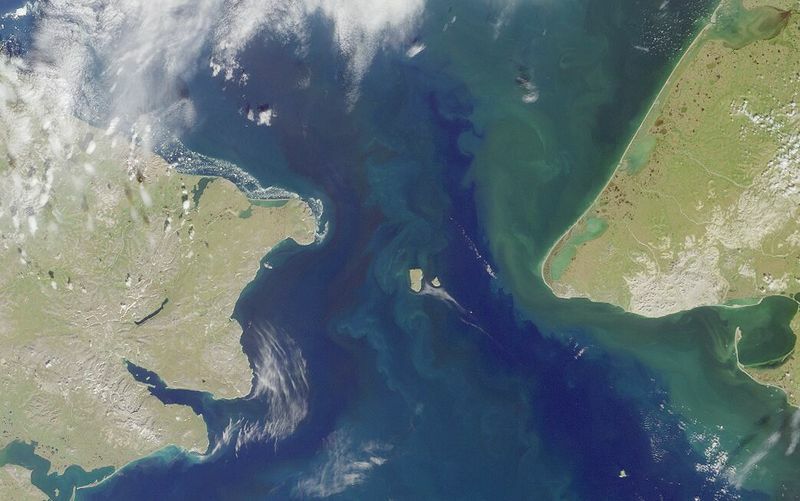 Satellite photo of the Bering Strait between Alaska (United States) and Serbia (Russia) … the two small islands in the middle are the Diomede Islands.